The Matsusaka Cluster Joint Plant in Matsusaka, Mie Prefecture. Established in 2011 with funding from companies such as Kobe Steel Ltd. and Hitachi Metals Ltd. to produce large forged parts domestically, airplane component maker Japan Aeroforge Ltd. (known as JForge) based in Kurashiki, Okayama Prefecture, is ready to enter a new stage. The firm currently mass produces large forged components such as titanium alloys and nickel alloys used in engines, airframes and airplane landing gear. Before JForge, there were no facilities in Japan to produce forged products for large-scale components of airplanes, so related businesses had to completely rely on foreign makers for those items. Such a situation prompted six companies, including Kobe Steel and Hitachi Metals, to jointly fund the launch of JForge, which introduced a press with a maximum load of 50,000 metric tons — one of the largest of its kind in the world. This enabled the company to accept orders for airplane engine components and landing gear. Those who operate relevant machines at JForge’s production site are workers the firm has employed locally in Okayama Prefecture. 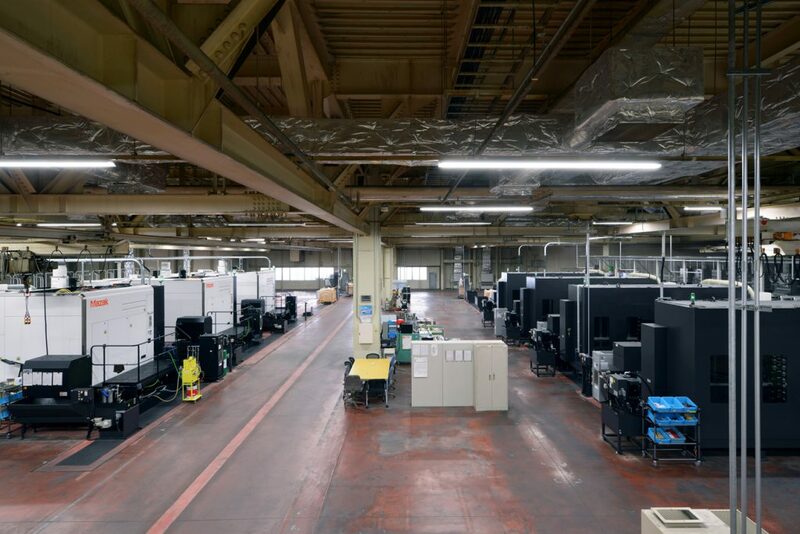 “We learned how to operate it through creating prototypes,” JForge President Yoji Ishikura said, referring to the operation of the press, the introduction of which was unprecedented in Japan. Airplane component maker Japan Aeroforge Ltd.’s press in Kurashiki, Okayama Prefecture, is among the largest of its kind in the world. Improving productivity is the current task that needs to be addressed by the company. The production process is essentially unchangeable as it has already obtained a necessary industrial standard in that regard. So, the company seeks to “continue steady efforts” through reducing time for various arrangements and improving jigs and industrial tools, according to Ishikura. It is also addressing the increase in the number of production items, promoting development and introducing a new production management system. The firm is poised to realize the betterment of both quality and productivity with the use of artificial intelligence to advance automation. Approximately 3 million components are used per airplane, and small- and medium-sized manufacturers support the production of aircraft as suppliers. There are many instances nationwide where these companies form joint organizations called “clusters” to promote streamlining through integrated manufacturing and jointly accepting orders. One example of this is the Aircraft Parts Manufacturing Cooperative (APMC) in Matsusaka, Mie Prefecture, which is known as the Matsusaka Cluster. The process of ordering that is characteristic to the aircraft industry has been dubbed the “saw order” in Japanese, which is likened to the tool’s back-and-forth movement. The concept describes a series of business exchanges between major heavy industry companies — ordering parties engaged in the production of airframes and engines — and their subcontractors. Ordering parties are delivered processed goods from suppliers, and then in the following process, the former places another order to other subcontractors. Typically in this type of order procedure, longer lead times, as well as growing management and logistical costs, need to be addressed when boosting the cost-competitive edge that the entire supply chain requires. The Matsusaka Cluster was established with the aim of solving such issues in April 2015. There is a growing movement among companies to enter the aviation industry through integrated production and jointly receiving orders. The Matsusaka Cluster began facilitating a joint factory in March 2016, gradually beginning production in autumn 2017. This cluster’s member companies comprise 10 small- and medium-sized businesses based in such prefectures as Aichi and Gifu that have been engaged in the aviation industry for many years. Represented by Kato Manufacturing Co. CEO Takashi Kato, whose company is headquartered in Kakamigahara, Gifu Prefecture, the cluster performs integrated production of airframe parts at its jointly owned factory for Boeing Co. There is a possibility for the cluster to produce components for the domestically made regional passenger jet, Mitsubishi Regional Jet, that is under development by Mitsubishi Aircraft Corp. based in Toyoyama, Aichi Prefecture. Mitsubishi Aircraft is a subsidiary of Mitsubishi Heavy Industries Ltd. Above all, it’s very significant that companies participating in the cluster can handle special processes such as heat treatment, shot peening, surface treatment and coating. If there were no companies that could deal with special processes within the cluster, it would have no choice but to outsource such work, stripping the merits of integrated production at the jointly owned plant. It makes it possible to transcend the saw order through integrated production featuring a continuous processing procedure, beginning with company A, followed by company B and then company C.
In the meantime, preparing a shared production management system is essential for each company to collaborate on production. If the participating companies use different systems, they cannot expect the benefits of integrated production. So, the Matsusaka Cluster member firms have been developing an optimized production management system for their use. “The system is an absolute necessity,” General Manager Tatsuya Masaki of the Matsusaka Cluster said, stressing its importance. The system is apparently nearly completed. The cluster also introduced electronic data interchange (EDI) not only for its production management, but also for receiving and placing orders within participating companies. Their EDI system has been customized, based on that of the automotive industry, to feature necessary elements in making aircraft components to further improve productivity. The cluster plans to expand component processing operations, which have been conducted within each company, to the jointly owned factory to boost the production ratio. The cluster will enter a crucial stage for its full-fledged operation. So far, there are about 40 cases of such clusters being established across the country. 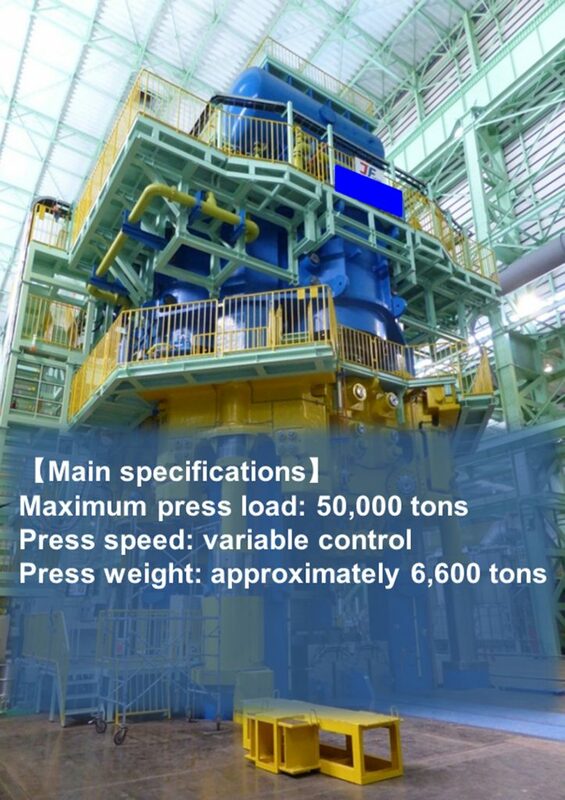 For example, there is Kansai Supply Chain, which has successfully received an order for a processing procedure. Many of its participating companies have sought to enter the aviation industry for the first time from other industries. In the Niigata Sky Project, relevant organizations aim to achieve integrated production at a planned joint factory, which is supposed to feature an automatic guided vehicle system to save manpower. While some clusters have already started their activities to receive orders, there are also other organizations that are about to form such entities to venture into the aviation field. One of these is the Hokkaido Aero Business Network, which launched in July, the first of its kind in Hokkaido. In a bid to encourage these moves, METI helped establish The Nationwide Network of Aircraft Manufacturing Clusters as a way to facilitate collaboration across the country. The Matsusaka Cluster, an example of such efforts, is proceeding on track, and is expected to produce excellent results from boosting such corporate collaboration. On Nov. 27, METI will hold the Asia Aircraft Supply Chain Forum. Forty percent of new aircraft will be purchased in the next 20 years in the Asia-Pacific region and large aircraft companies are interested in working with Japan in order to collaborate with Asian companies. Japanese companies have an extensive network and experience in the manufacturing industry in Asia. This forum will provide good opportunities both for companies that are already engaged in the aircraft industry and for those that intend to newly enter into the industry. Interested parties can register at http://www.meti.go.jp/english/press/2018/0926_004.html .